Downtown Carlisle Association presents the UPMC Pinnacle Ice Art Fest which will be held February 8-10, 2019. Over 70 different ice sculptures will be placed around downtown Carlisle for visitors viewing and picture taking pleasure. Tamzen’s Bridal at Butler Manor is pleased to be participating in this community event. We will be showcasing “Live” models in our storefront windows. Our Live mannequins will be modeling our latest Bridal fashions. 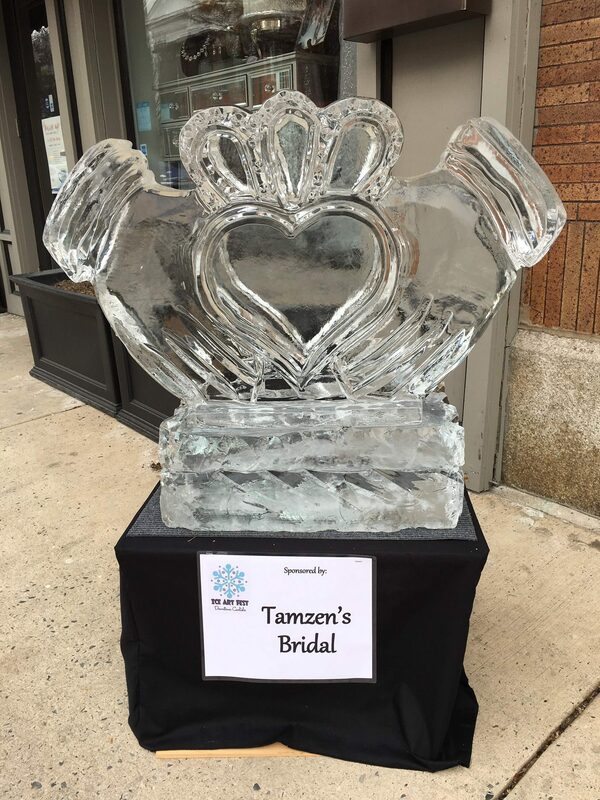 Please stop by and have your picture taken with our featured Ice Sculpture. We would love to see your photos on our Facebook page.